Joseph Ralaiharo has lived cut off from society in a remote village in central Madagascar for more than half a century. His battle with leprosy, an infection that causes unsightly sores, nerve damage as well as eye and respiratory problems, has left him shunned by society. “I can’t go home anymore because nobody wants to see me,” said 65-year-old Ralaiharo. Despite winning the battle against the infection, having been cured, Ralaiharo continues to live in the colony, such is the lifelong stigma. He came to Ilena in Madagascar with his mother when he was just 13 years old after becoming infected with leprosy, also known as Hansen’s disease. He has not left the village since. Ilena lies at the top of a small hill, surrounded by trees, miles from the nearest town, Fianarantsoa, and was built in 1892 as a dedicated community for those with leprosy. Leprosy was initially recorded in the first century and had almost disappeared from Europe by the 18th century, with only a handful of areas still affected thereafter, mostly in Africa, Southeast Asia and South America. More than 200,000 new cases are identified every year, according to the latest World Health Organization figures. The condition, which spreads via nasal fluids but is not highly contagious, can be treated with a months-long cocktail of drugs. Ilena is now home to over 400 people, including more than 100 children, all mingling and living together as a community but totally isolated from the rest of society. The residents survive by growing food and rearing livestock as well as producing their own charcoal. Nobody ever leaves, except by dying, they say. “This village has become a ghetto. Nobody comes or goes from here,” Sister Damien Koenig said calmly. She is one of the nuns who have run Ilena for decades. “When we arrived, we tried to explain that leprosy is not a shameful condition, that those infected should not be embarrassed, that they could go out,” she added. Madagascans tend to be extremely proud of their tradition of community support, solidarity and loyalty, described by the catch-all local term “fihavanana”. But those living with leprosy are excluded, and face fierce discrimination. In Marana, another village for those afflicted by leprosy in the same region as Ilena, the residents’ treatment from outside typifies the prejudice faced by sufferers. The community has had to be relocated three times due to hostility from people living in Fianarantsoa. Marana’s 80 residents are now hidden by a ring of trees that shield them from outside view. “When we leave a leper colony, it’s difficult to reintegrate into society,” said one of them, 61-year-old Robert Razafimahatratra, sighing as he spoke. “Even my family keep their distance from me. “That’s what upsets me most — not the illness, but the fact that my family rejected me. It’s a mixture of shame, confusion and fear,” said Harisoa Marline, another infected resident. A combination of poverty and limited access to healthcare is to blame for the continued presence of leprosy on Madagascar, an Indian Ocean island nation, which tends to rank among the three worst countries in Africa for new infections. 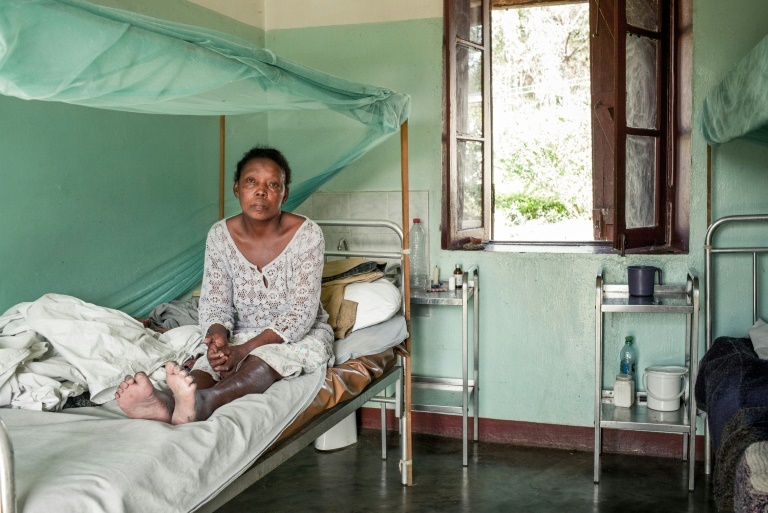 “Madagascar sees 1,500 new leprosy cases every year,” said the head of the health ministry’s anti-leprosy programme Andriamirana Andrianatoandro, adding he regretted the “ostracism and exclusion” faced by those living with leprosy. Early diagnosis is crucial to limiting the spread of the infection as there is not yet a vaccine, but identification of leprosy often comes too late — if at all. “We never give a leprosy diagnosis in the village,” said Sister Sabine Ramasinoro, one of the nuns responsible for running Marana. “A farmer in the bush has no incentive to get a leprosy diagnosis of their irritable skin lesions,” said Bertrand Cauchoix, a doctor at the Raoul Follereau Foundation, one of the leading contributors to the fight against the condition. To help detect undiagnosed cases, Cauchoix has put in place programmes to address skin conditions although has struggled to break through the widespread apathy.